As a parent myself, I know how long the days are, but how short are the years. Especially when it comes to the first year. In the blink of an eye, you go from the first night home with the baby, to the 1st birthday planning. Its wonderful. 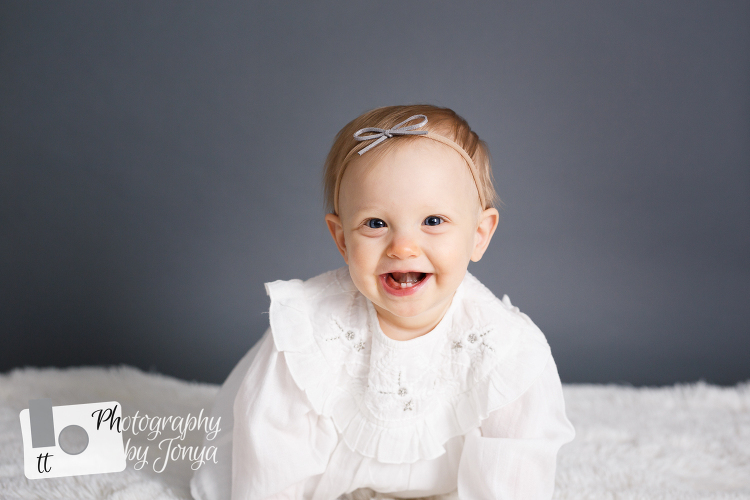 Although I specialize in cake smash photography, I still have many clients who prefer a more traditional portrait session to help document their babies first birthday milestone. These are just as fun ask the cake smash sessions. These are timeless and help us capture your little ones growing and fun loving personality. 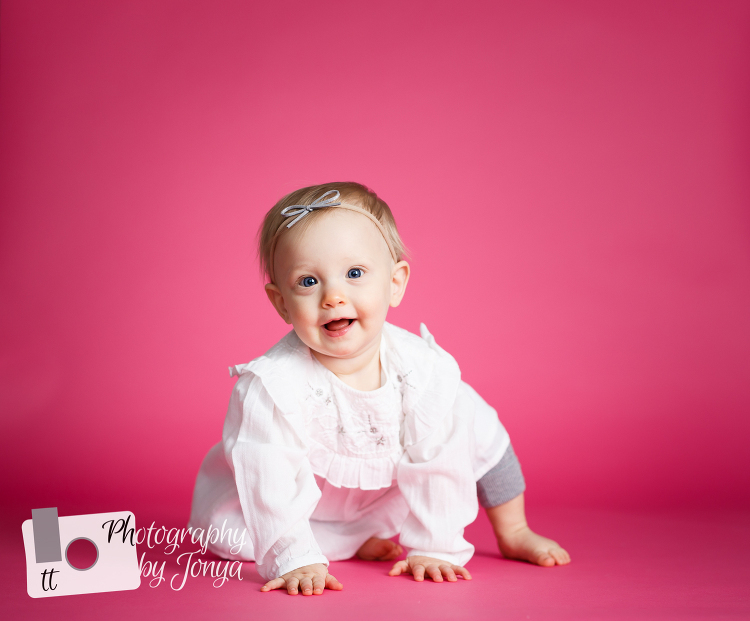 It was my pleasure to have this traditional first birthday portrait session with the ever so sweet Ellis. 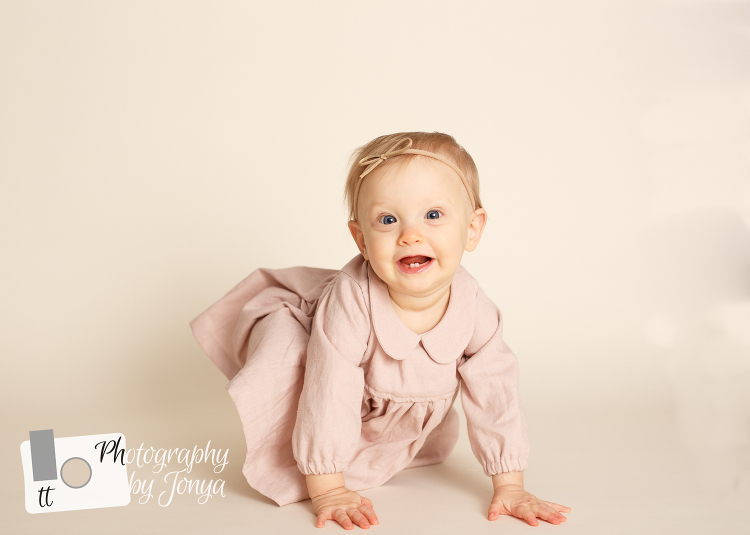 Her mommy did an amazing job at selecting outfits that captured Ellis’ natural style and joyful demeanor. When Ellis first came in she was full of smiles. She was showing off those tiny little teeth. Normally that makes me very nervous…. Because at that point I know our clock is ticking before the baby loses all interest in what we are trying to do. But she surprised me. She maintains that smile through her entire session. I could have continue to photograph her all day. She was all about the colors and the sound the backdrops made when I was switching them. I know she made her mommy so proud and she posed it up. Mommy and I picked outfits and backdrops that will allow her to keep these portraits up all year and switch them without having to change to contrast her home decor. The pink was fun, and gave us the true feels of baby girl.